About me: I grew up Mormon in a small Idaho town, in a faithful family with 3 awesome brothers. The Nielson family came from pioneer stock, and I served in the LDS Church all my life--until the day I left my faith behind. I would be gone for almost 15 years, before I returned to my faith. I have never been happier, since I came home. I really needed this book at this time in life. I have been feeling disgruntled with the church and some of the doctrine and started hating to go to church. But I was deeply touched by Susan's testimony when she became reactivated. I remember how I felt 20 years ago when I got a testimony of the church. I had never been happier. Reading this brought to my mind those old memories and feelings. I feel like trying again. "I couldn't stop reading Susan's book. Susan's story helped me realize that God has a timetable that none of us can see or understand, but we never know what kind words of support or what kind deeds will be helpful in someone's return to their faith." 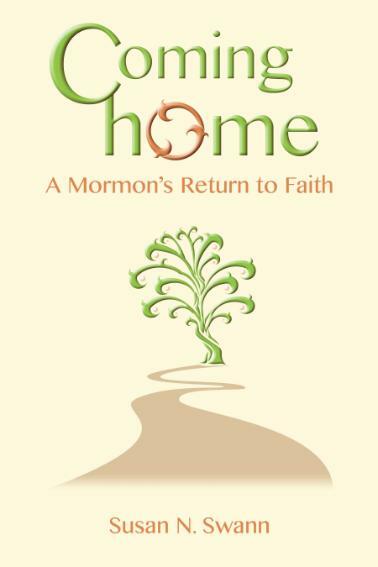 Annie N.
Read my story: Coming Home: A Mormon's Return to Faith. Available at Amazon and Barnes and Noble. Please continue to love your children and be patient with them. Invite them to all family events. Stay connected. Make sure they know that you love them in or out of the church. My family never gave up on me, please don't give up on your children.